Remember Terrell Owens’ Kobe 9 Elite High PE? 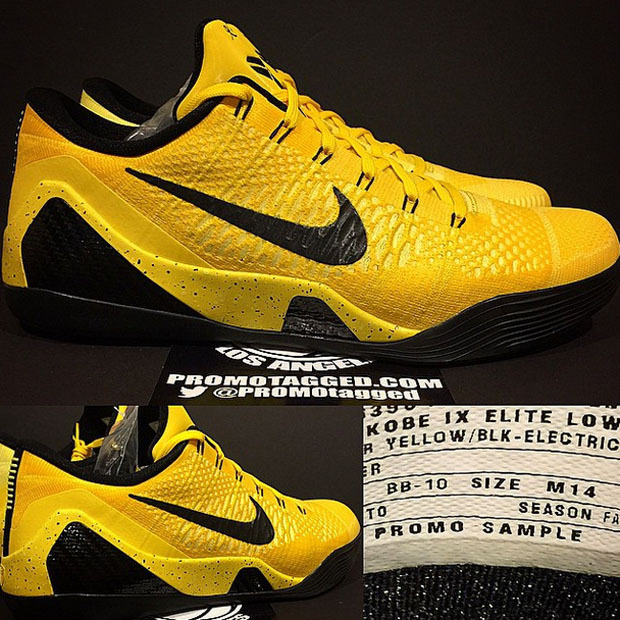 There’s a lowtop variety too, as this vibrant Electric Yellow and Black Kobe 9 Elite Low shines a light on a “Bruce Lee” like aesthetic. Featuring that yellow flyknit base, black speckling helps support the midsole while even the back heel ankle stitching skips out on the usual red lines for a matching yellow. Are you a fan of the look? 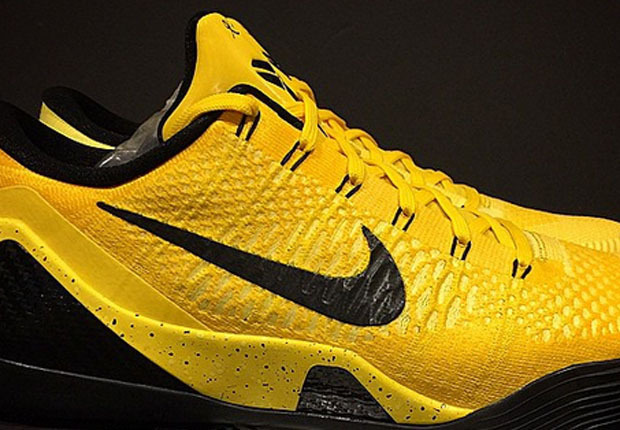 Check out more of the latest Kobe 9 after the break and stay tuned for the Black Mamba’s latest Kobe 10 to debut this weekend.